Photo By Airman 1st Class Erin McClellan | A Royal Air Force airman prepares an A400M Atlas for takeoff Aug. 3, 2017 at Joint Base Lewis-McChord, Wash.. 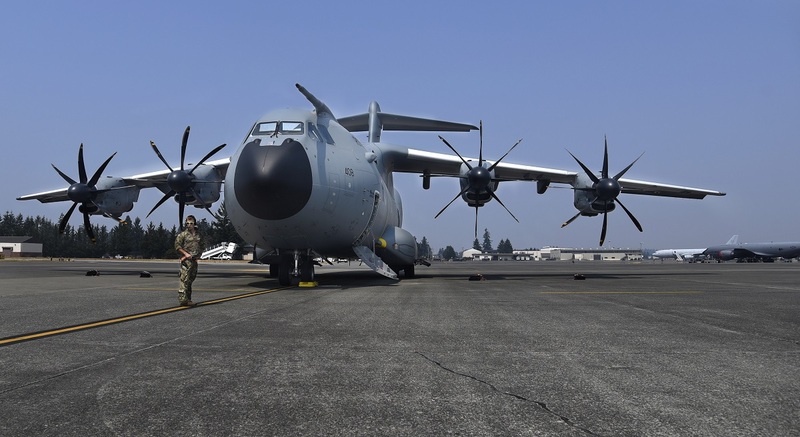 Many airlifters from 11 international countries are currently taking part in Mobility Guardian, including the Royal Air Force’s A400M Atlas cargo aircraft as it makes its debut in a large-scale exercise. In fact as explained by Airman 1st Class Erin McClellan, 22nd Air Refueling Wing Public Affairs, in the article A400 Atlas debuts during Mobility Guardian, although the A400 has operated in exercises previously, Mobility Guardian is the largest and most diverse, which gives the aircraft a chance to shine. “Exercise Mobility Guardian 2017 is a real opportunity for us,” said Wing Commander Ed Horne, Number 70 Squadron commanding officer, RAF Brize Norton, U.K. “It’s the first time we’ve deployed the aircraft on an exercise like this. The aircraft arrived in service with the Royal Air Force in 2014, so we’re still preparing the aircraft for operations overseas. This is really an excellent opportunity for us to operate with our coalition partners. 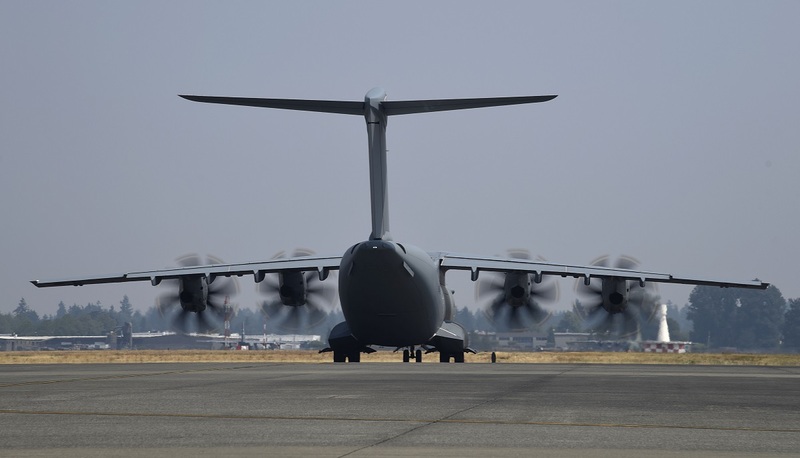 The A400 is slotted for nine missions during Mobility Guardian, providing the opportunity to learn more about the aircraft and to help partnerships flourish. Aircrew members prepare an A400M Atlas, assigned to the Royal Air Force, for takeoff Aug. 3, 2017, at Joint Base Lewis-McChord, Wash.. While the aircraft is at Mobility Guardian, the RAF’s international partners, including the United States, are able to work with the aircraft for the first time and learn how it can be used as an asset to the Mobility mission. The A400M is a tactical airlifter comparable to the C-130 Hercules and the C-17 Globemaster III. 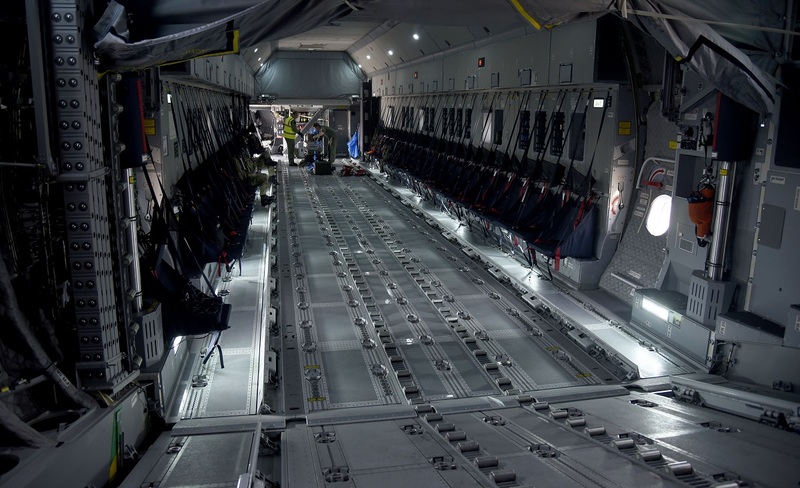 Capable of all major components of airlift, including transport, airdrops and aeromedical evacuation, it will eventually replace the C-130 for the RAF, leaving only a small fleet of the older aircraft in service. A Royal Air Force A400M Atlas taxis before takeoff Aug. 3, 2017, at Joint Base Lewis-McChord, Wash. .